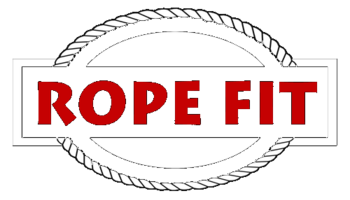 Rope Fit is a source dedicated to meeting all of your workout rope needs. From chains to ropes, we have everything that you need, all of the best quality. If you are looking for a way to challenge your body and enhance your workout routine, consider implementing the use of a climbing rope. Rope climbing is no longer just a childhood activity. The demanding exercise is a whole-body workout that can help you strengthen and tone your muscles. Rope climbing is versatile, challenging different parts of the body depending on the technique that you choose to use. Climbing with only your hands challenges your arms and upper body while incorporating your legs adds another fitness component. Climbing ropes are an inexpensive way to get a full body workout. You can also choose ropes of varying diameters to make your grip more challenging, providing a better workout. Rope Fit is dedicated to providing some of the best fitness tools to challenge your body. Climbing ropes take an organic approach to training, working your body in its purest form by using body weight as your resistance. Take a look at the climbing ropes that we have to offer.